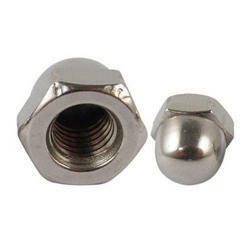 Leading Wholesale Trader of stainless steel hexagonal nuts, alloy steel dome nuts, alloy steel self locking nuts, alloy steel hexagon thin nuts, alloy steel wing nuts and alloy steel hexagonal nuts from Mumbai. 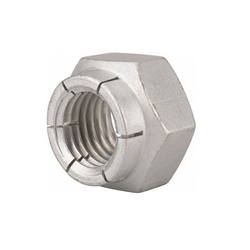 We, NeelKamal steels are one of the best producers of Stainless Steel Hexagonal Nuts in the market. Nuts come under the fastening section which is why there is extra need for it to be very hood quality. After, a whole instrument depends on it. The nuts produced by us are made up of stainless steel to ensure that there is no rusting.The content of carbon in the steel plays an important role in the strength factor. Therefore, NeelKamal steels make sure that not only the content of the carbon is high in the steel but also it is of good quality. We offer a wide range of nuts for our clients to choose from.To name a few varieties there are self locking nuts, castle nuts, hexagonal castle nuts, industrial nuts, coupling nuts etc. They also vary in size and dimensions to fit in to the need of the client perfectly. 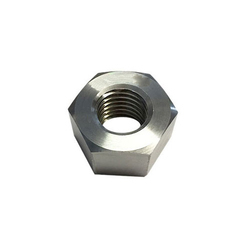 We, NeelKamal steels are one of the best producers of Alloy Steel Dom Nuts in the market. Nuts come under the fastening section which is why there is extra need for it to be very hood quality. After, a whole instrument depends on it. The nuts produced by us are made up of stainless steel to ensure that there is no rusting.The content of carbon in the steel plays an important role in the strength factor. Therefore, NeelKamal steels make sure that not only the content of the carbon is high in the steel but also it is of good quality. We offer a wide range of nuts for our clients to choose from.To name a few varieties there are self locking nuts, castle nuts, hexagonal castle nuts, industrial nuts, coupling nuts etc. They also vary in size and dimensions to fit in to the need of the client perfectly. 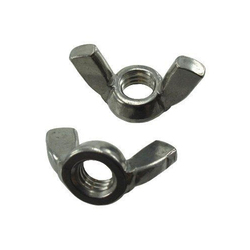 We, NeelKamal steels are one of the best producers of Alloy Steel Self Locking Nuts in the market. Nuts come under the fastening section which is why there is extra need for it to be very hood quality. After, a whole instrument depends on it. The nuts produced by us are made up of stainless steel to ensure that there is no rusting.The content of carbon in the steel plays an important role in the strength factor. Therefore, NeelKamal steels make sure that not only the content of the carbon is high in the steel but also it is of good quality. We offer a wide range of nuts for our clients to choose from.To name a few varieties there are self locking nuts, castle nuts, hexagonal castle nuts, industrial nuts, coupling nuts etc. They also vary in size and dimensions to fit in to the need of the client perfectly. 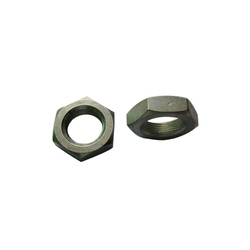 We, NeelKamal steels are one of the best producers of Alloy Steel Hexagon Thin Nuts in the market. Nuts come under the fastening section which is why there is extra need for it to be very hood quality. After, a whole instrument depends on it. The nuts produced by us are made up of stainless steel to ensure that there is no rusting.The content of carbon in the steel plays an important role in the strength factor. Therefore, NeelKamal steels make sure that not only the content of the carbon is high in the steel but also it is of good quality. We offer a wide range of nuts for our clients to choose from.To name a few varieties there are self locking nuts, castle nuts, hexagonal castle nuts, industrial nuts, coupling nuts etc. They also vary in size and dimensions to fit in to the need of the client perfectly. 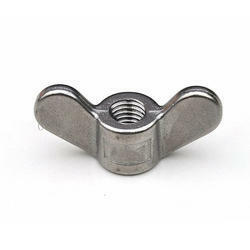 We, NeelKamal steels are one of the best producers of Alloy Steel Wing Nuts in the market. Nuts come under the fastening section which is why there is extra need for it to be very hood quality. After, a whole instrument depends on it. The nuts produced by us are made up of stainless steel to ensure that there is no rusting.The content of carbon in the steel plays an important role in the strength factor. Therefore, NeelKamal steels make sure that not only the content of the carbon is high in the steel but also it is of good quality. We offer a wide range of nuts for our clients to choose from.To name a few varieties there are self locking nuts, castle nuts, hexagonal castle nuts, industrial nuts, coupling nuts etc. They also vary in size and dimensions to fit in to the need of the client perfectly. 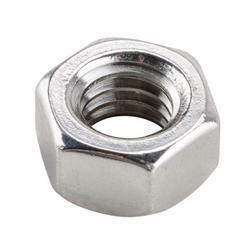 We, NeelKamal steels are one of the best producers of Alloy Steel Hexagonal Nuts in the market. Nuts come under the fastening section which is why there is extra need for it to be very hood quality. After, a whole instrument depends on it. The nuts produced by us are made up of stainless steel to ensure that there is no rusting.The content of carbon in the steel plays an important role in the strength factor. Therefore, NeelKamal steels make sure that not only the content of the carbon is high in the steel but also it is of good quality. We offer a wide range of nuts for our clients to choose from.To name a few varieties there are self locking nuts, castle nuts, hexagonal castle nuts, industrial nuts, coupling nuts etc. They also vary in size and dimensions to fit in to the need of the client perfectly. 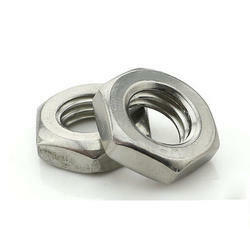 We, NeelKamal steels are one of the best producers of Stainless Steel Dom Nuts in the market. Nuts come under the fastening section which is why there is extra need for it to be very hood quality. 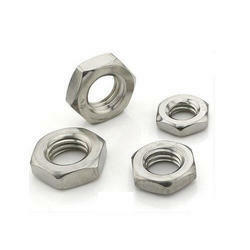 Stainless Steel Dom Nuts We, NeelKamal steels are one of the best producers of Stainless Steel Dom Nuts in the market. Nuts come under the fastening section which is why there is extra need for it to be very hood quality. After, a whole instrument depends on it. The nuts produced by us are made up of stainless steel to ensure that there is no rusting.The content of carbon in the steel plays an important role in the strength factor. Therefore, NeelKamal steels make sure that not only the content of the carbon is high in the steel but also it is of good quality. We offer a wide range of nuts for our clients to choose from.To name a few varieties there are self locking nuts, castle nuts, hexagonal castle nuts, industrial nuts, coupling nuts etc. They also vary in size and dimensions to fit in to the need of the client perfectly. 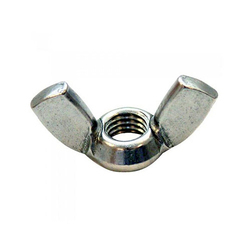 We, NeelKamal steels are one of the best producers of Stainless Steel Self Locking Nuts in the market. Nuts come under the fastening section which is why there is extra need for it to be very hood quality. After, a whole instrument depends on it. The nuts produced by us are made up of stainless steel to ensure that there is no rusting.The content of carbon in the steel plays an important role in the strength factor. Therefore, NeelKamal steels make sure that not only the content of the carbon is high in the steel but also it is of good quality. We offer a wide range of nuts for our clients to choose from.To name a few varieties there are self locking nuts, castle nuts, hexagonal castle nuts, industrial nuts, coupling nuts etc. They also vary in size and dimensions to fit in to the need of the client perfectly. 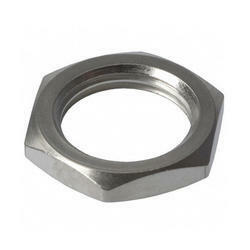 We, NeelKamal steels are one of the best producers of Stainless Steel Hexagon Thin Nuts in the market. Nuts come under the fastening section which is why there is extra need for it to be very hood quality. After, a whole instrument depends on it. The nuts produced by us are made up of stainless steel to ensure that there is no rusting.The content of carbon in the steel plays an important role in the strength factor. Therefore, NeelKamal steels make sure that not only the content of the carbon is high in the steel but also it is of good quality. We offer a wide range of nuts for our clients to choose from.To name a few varieties there are self locking nuts, castle nuts, hexagonal castle nuts, industrial nuts, coupling nuts etc. They also vary in size and dimensions to fit in to the need of the client perfectly. 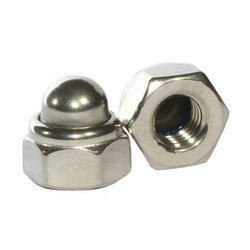 We, NeelKamal steels are one of the best producers of Stainless Steel Wing Nuts in the market. Nuts come under the fastening section which is why there is extra need for it to be very hood quality. After, a whole instrument depends on it. The nuts produced by us are made up of stainless steel to ensure that there is no rusting.The content of carbon in the steel plays an important role in the strength factor. Therefore, NeelKamal steels make sure that not only the content of the carbon is high in the steel but also it is of good quality. We offer a wide range of nuts for our clients to choose from.To name a few varieties there are self locking nuts, castle nuts, hexagonal castle nuts, industrial nuts, coupling nuts etc. They also vary in size and dimensions to fit in to the need of the client perfectly. We, NeelKamal steels are one of the best producers of Nickel Alloys Hexagonal Nuts in the market. Nuts come under the fastening section which is why there is extra need for it to be very hood quality. After, a whole instrument depends on it. The nuts produced by us are made up of stainless steel to ensure that there is no rusting.The content of carbon in the steel plays an important role in the strength factor. Therefore, NeelKamal steels make sure that not only the content of the carbon is high in the steel but also it is of good quality. We offer a wide range of nuts for our clients to choose from.To name a few varieties there are self locking nuts, castle nuts, hexagonal castle nuts, industrial nuts, coupling nuts etc. They also vary in size and dimensions to fit in to the need of the client perfectly. We, NeelKamal steels are one of the best producers of Nickel Alloys Dom Nuts in the market. Nuts come under the fastening section which is why there is extra need for it to be very hood quality. After, a whole instrument depends on it. The nuts produced by us are made up of stainless steel to ensure that there is no rusting.The content of carbon in the steel plays an important role in the strength factor. Therefore, NeelKamal steels make sure that not only the content of the carbon is high in the steel but also it is of good quality. We offer a wide range of nuts for our clients to choose from.To name a few varieties there are self locking nuts, castle nuts, hexagonal castle nuts, industrial nuts, coupling nuts etc. They also vary in size and dimensions to fit in to the need of the client perfectly. We, NeelKamal steels are one of the best producers of Nickel Alloys Self Locking Nuts in the market. Nuts come under the fastening section which is why there is extra need for it to be very hood quality. After, a whole instrument depends on it. The nuts produced by us are made up of stainless steel to ensure that there is no rusting.The content of carbon in the steel plays an important role in the strength factor. Therefore, NeelKamal steels make sure that not only the content of the carbon is high in the steel but also it is of good quality. We offer a wide range of nuts for our clients to choose from.To name a few varieties there are self locking nuts, castle nuts, hexagonal castle nuts, industrial nuts, coupling nuts etc. They also vary in size and dimensions to fit in to the need of the client perfectly. We, NeelKamal steels are one of the best producers of Nickel Alloys Hexagon Thin Nuts in the market. Nuts come under the fastening section which is why there is extra need for it to be very hood quality. After, a whole instrument depends on it. The nuts produced by us are made up of stainless steel to ensure that there is no rusting.The content of carbon in the steel plays an important role in the strength factor. Therefore, NeelKamal steels make sure that not only the content of the carbon is high in the steel but also it is of good quality. We offer a wide range of nuts for our clients to choose from.To name a few varieties there are self locking nuts, castle nuts, hexagonal castle nuts, industrial nuts, coupling nuts etc. They also vary in size and dimensions to fit in to the need of the client perfectly. We, NeelKamal steels are one of the best producers of Nickel Alloys Wing Nuts in the market. Nuts come under the fastening section which is why there is extra need for it to be very hood quality. After, a whole instrument depends on it. The nuts produced by us are made up of stainless steel to ensure that there is no rusting.The content of carbon in the steel plays an important role in the strength factor. Therefore, NeelKamal steels make sure that not only the content of the carbon is high in the steel but also it is of good quality. We offer a wide range of nuts for our clients to choose from.To name a few varieties there are self locking nuts, castle nuts, hexagonal castle nuts, industrial nuts, coupling nuts etc. They also vary in size and dimensions to fit in to the need of the client perfectly. 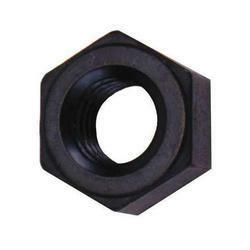 We, NeelKamal steels are one of the best producers of Carbon Steel Hexagonal Nuts in the market. Nuts come under the fastening section which is why there is extra need for it to be very hood quality. After, a whole instrument depends on it. The nuts produced by us are made up of stainless steel to ensure that there is no rusting.The content of carbon in the steel plays an important role in the strength factor. Therefore, NeelKamal steels make sure that not only the content of the carbon is high in the steel but also it is of good quality. We offer a wide range of nuts for our clients to choose from.To name a few varieties there are self locking nuts, castle nuts, hexagonal castle nuts, industrial nuts, coupling nuts etc. They also vary in size and dimensions to fit in to the need of the client perfectly. 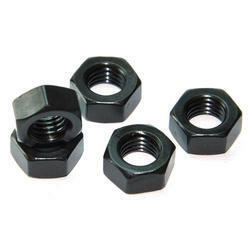 We, NeelKamal steels are one of the best producers of Carbon Steel Dom Nuts in the market. Nuts come under the fastening section which is why there is extra need for it to be very hood quality. After, a whole instrument depends on it. The nuts produced by us are made up of stainless steel to ensure that there is no rusting.The content of carbon in the steel plays an important role in the strength factor. Therefore, NeelKamal steels make sure that not only the content of the carbon is high in the steel but also it is of good quality. We offer a wide range of nuts for our clients to choose from.To name a few varieties there are self locking nuts, castle nuts, hexagonal castle nuts, industrial nuts, coupling nuts etc. They also vary in size and dimensions to fit in to the need of the client perfectly. 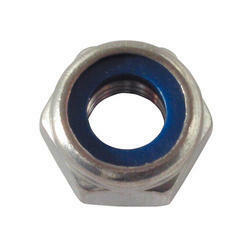 We, NeelKamal steels are one of the best producers of Carbon Steel Hexagon Thin Nuts in the market. Nuts come under the fastening section which is why there is extra need for it to be very hood quality. After, a whole instrument depends on it. 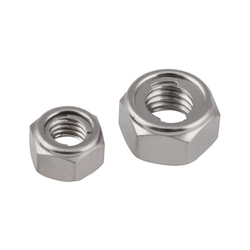 The nuts produced by us are made up of stainless steel to ensure that there is no rusting. The content of carbon in the steel plays an important role in the strength factor. Therefore, NeelKamal steels make sure that not only the content of the carbon is high in the steel but also it is of good quality. 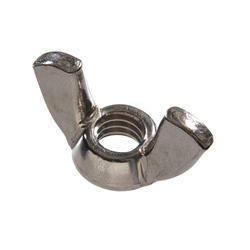 We offer a wide range of nuts for our clients to choose from. 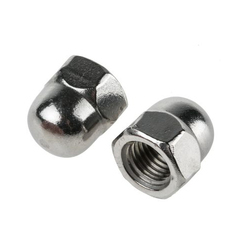 To name a few varieties there are self locking nuts, castle nuts, hexagonal castle nuts, industrial nuts, coupling nuts etc. They also vary in size and dimensions to fit in to the need of the client perfectly. 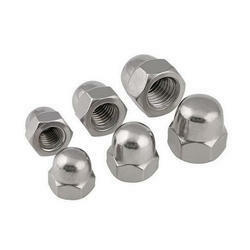 We, NeelKamal steels are one of the best producers of Carbon Steel Wing Nuts in the market. Nuts come under the fastening section which is why there is extra need for it to be very hood quality. After, a whole instrument depends on it. The nuts produced by us are made up of stainless steel to ensure that there is no rusting.The content of carbon in the steel plays an important role in the strength factor. Therefore, NeelKamal steels make sure that not only the content of the carbon is high in the steel but also it is of good quality. We offer a wide range of nuts for our clients to choose from.To name a few varieties there are self locking nuts, castle nuts, hexagonal castle nuts, industrial nuts, coupling nuts etc. They also vary in size and dimensions to fit in to the need of the client perfectly.